Parasomnias are a group of sleep disorders in which something goes awry with a person’s sleep cycle. If you break down the word “parasomnia,” you get “para,” which can mean abnormal or incorrect, “somnia,” which, of course, means sleep. Indeed, something is not normal or correct with the sleep of a parsomnia sufferer. Parasomnias are oftened referred by those in the sleep medicine field as those things that go "Bump in the Night" since many are associated with some type of movement during sleep. More commonly seen in children, sleepwalking (also called somnambulism) affects about 4 percent of American adults. Sleepwalking isn’t limited to the spaced-out walking you might have once seen in a Popeye cartoon—it includes any actions performed while the person is technically asleep. Sufferers usually have no memory of their episodes, which occur during the deep stages of Non-REM sleep early in the sleep cycle. More extreme than regular sleepwalking, REM sleep behavior disorder (RBD) typically occurs in males older than 50. Sufferers act out dramatic and/or violent dreams during REM sleep—a cycle in which the body usually prevents itself from moving—and will remember their actions if they are awakened. RBD is serious because the sufferer, as well as the sleep partner, can be injured as a result of the live-action dreams. We all experience bad dreams once in a while, but when they are frequent, recurring, and painfully vivid, they can be considered a parasomnia. Unlike nightmares, night terrors occur during deep Non-REM sleep, and sufferers often have no recollection of what made them wake up in a confused, frightened state. Trying to coax the person back awake or back to sleep usually has no effect. Most common on young children, night terrors also afflict about 3 percent of adults. Sleepwalkers who on a regular basis get something to eat suffer from nocturnal sleep-related eating disorder (NSRED). Besides being at risk for weight gain from the extra calories they don’t realize or remember they are eating, NSRED patients can be at risk if they unknowingly eat something they are allergic to or something that isn’t a food, or by preparing a food (e.g. cutting a bagel or using the stove) while not fully awake and possibly in the dark. Also known as bruxism, teeth grinding—occurring involuntarily during the night—can wake up a sleep partner and can lead to migraines, jaw pain, and, obviously, damaged teeth. 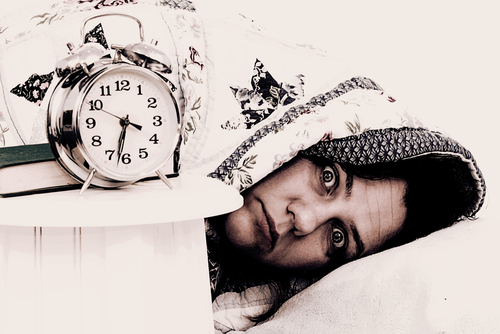 If a parasomnia is interfering with your nights, a qualified sleep specialist can help. Contact the experts at Alaska Sleep Clinic for a free 10-minute phone consultation. Does your sleep partner talk in his or her sleep?